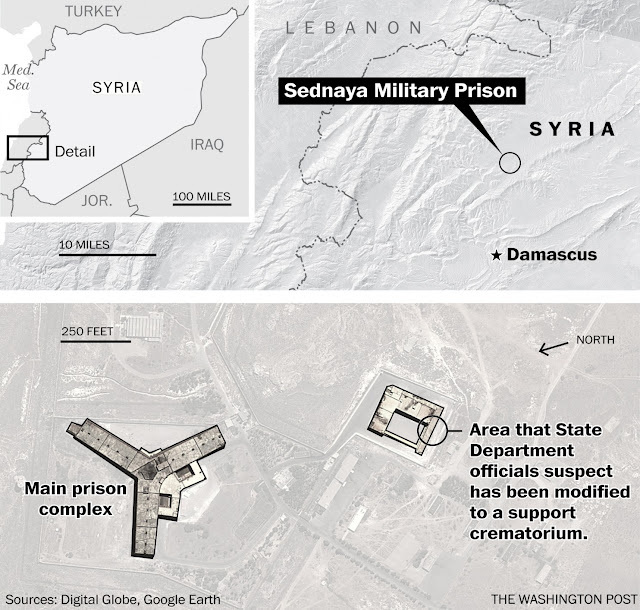 May 16, 2017 (Tony Cartalucci - LD) - In February 2017, the US would attempt to leverage an Amnesty International report claiming to detail unfolding atrocities at Sednaya prison in Syria. The report's release and leveraging by the US came just ahead of another round of talks aimed at stemming the catastrophic 6 year conflict. The move by the US was a bid to give Washington and its regional allies extra leverage at the negotiating table. And now - months later - and just when the US is in need of more leverage, the Sednaya story has once again been revived. The US State Department not only has repeated previous and discredited claims drawn from the Amnesty International report, it now claims the prison includes a crematorium facility - an oblique attempt to link the current Syrian government with historical arch-villains like Germany's Nazis. The word "probable" is an open admission to having no actual evidence that the building is in fact a "crematorium." The word "probable" also means that no evidence exists that the alleged "crematorium" is being use to mass incinerate bodies, or that the bodies are the result of a systematic process of mass torture and executions. 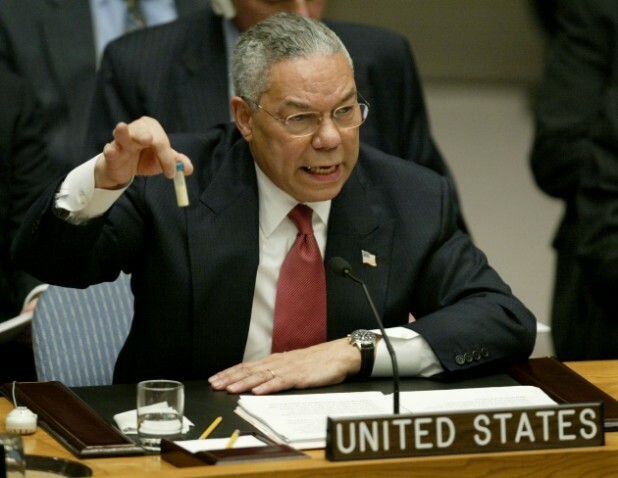 No responsible intelligence agency would submit final reports containing the word "probable," and more importantly, no responsible state department would cite reports containing the word "probable" to accuse a foreign government of crimes against humanity. But an intelligence agency tasked with fabricating a narrative and a state department tasked with selling it to the international community would - and as the US State Department has done numerous times in the past and at great cost in human lives and global stability - Iraq, Afghanistan, and Libya for example - that is precisely what has happened yet again. The Washington Post - just in case readers failed to make the oblique connection to Germany's Nazis - connects the dots for its audience by characterizing the US State Department's briefing as "accusations of mass murder and incinerated bodies, evoking the Holocaust." 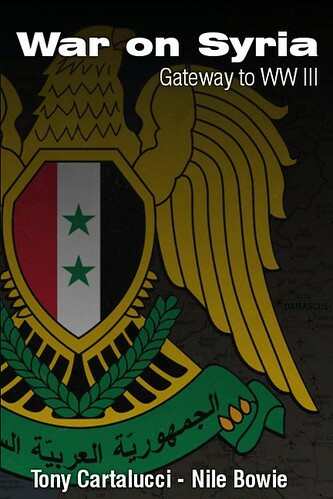 While the US State Department and the Washington Post attempt to paint an elaborate picture of abuse to shock the international community into condemnation of Syria, what it has really essentially done is resort to the schoolyard tactic of calling the Syrian government, "Hitler." The Amnesty International report was published in February 2017. Admittedly presenting no actual evidence, and considering the industrial scale of alleged mass murder and now alleged "incineration" taking place at the facility, one would assume the largest, most powerful intelligence network on Earth in human history could present something months later more substantial than a photograph taken from outer space labeled, "probable crematorium." 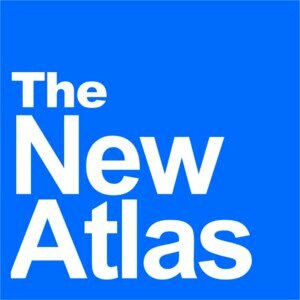 That the largest, most powerful intelligence network on Earth, in human history failed to find anything more substantial indicates there is nothing to find and that instead, the US has deferred once again to fabricating pretexts for its continued meddling beyond its borders, amid catastrophic conflicts it itself engineered and is perpetuating, toward an outcome that suits Washington first and foremost - and especially at the cost of all others involved. While spokespeople behind the US State Department's podiums insist that the Syrian "slaughterhouse" is being organized and directed from Damascus, it is clear that just like the dismemberment and destruction of Iraq and Libya - the Syrian "slaughterhouse" is a project organized and directed from Washington.